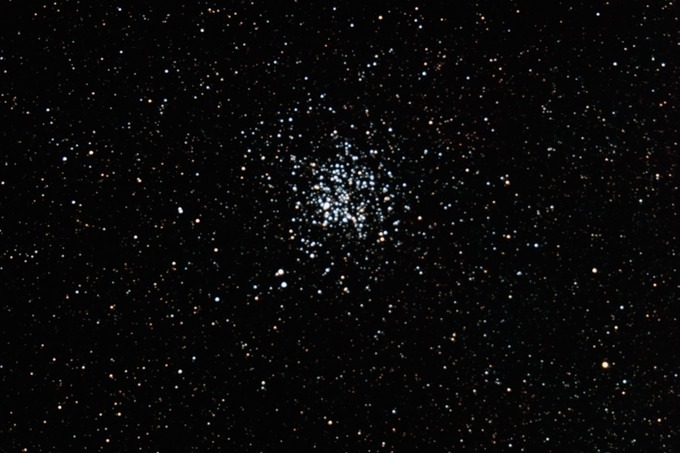 M11, also known as the Wild Duck Cluster, is an open cluster. Scope and f/: Celestron N11GPS at f/6.3. Guiding: I didn't record guiiding used, if any. Camera: Canon 10D at ISO 800, raw mode. Number of sub-images and exposure: Twenty 30-second exposures.